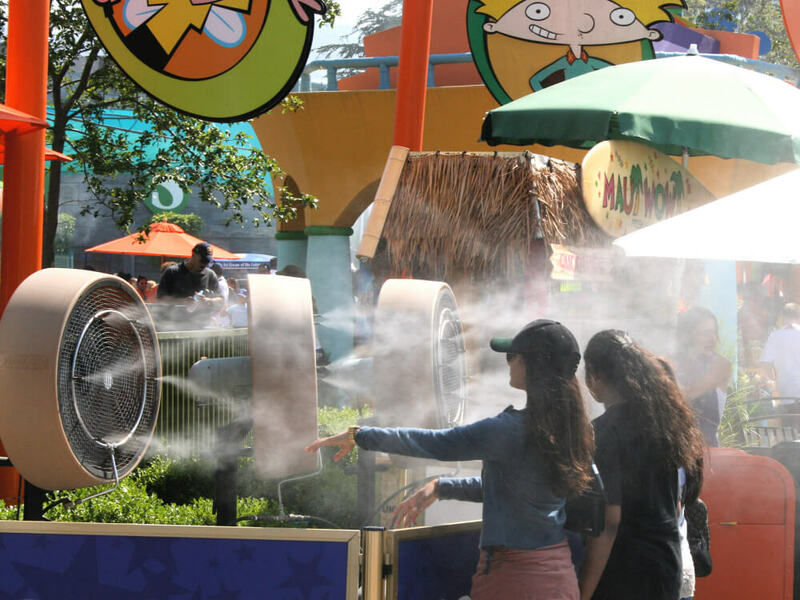 Theme park queue lines have long been a necessary evil, but more park designers are integrating outdoor cooling measures to comfort their guests as they wait to embark on attractions and rides. 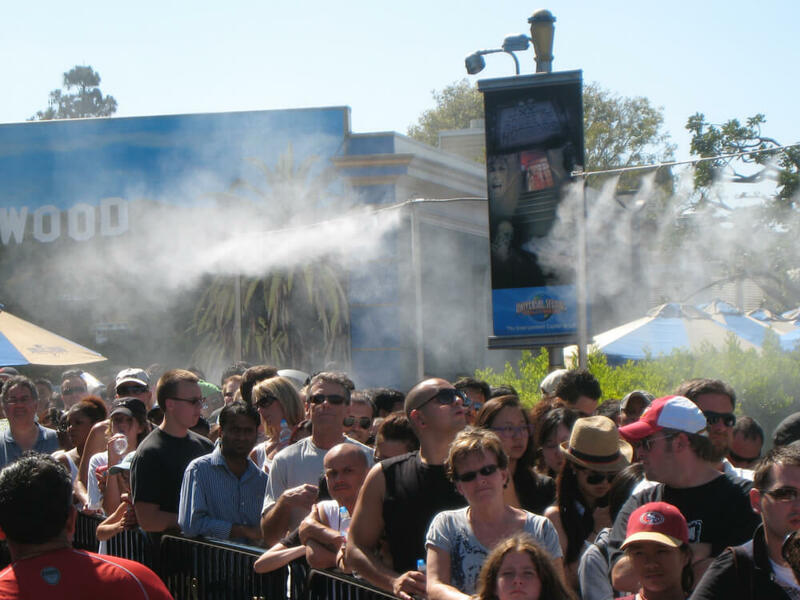 Misting systems have traditionally been used to keep guests comfortable in queue lines during busy periods, especially during the theme park summer high season. Now theme parks are embracing outdoor cooling technologies to extend to common areas and develop a unique and appealing experience for guests. 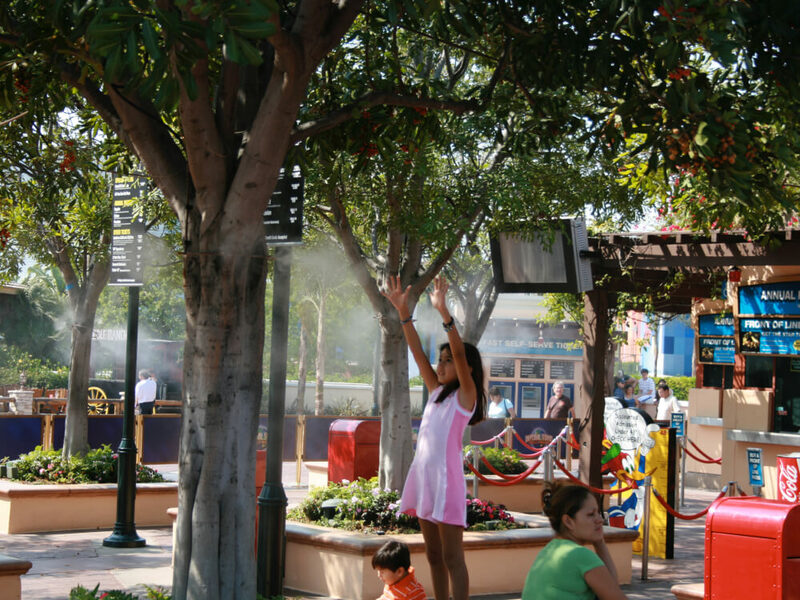 Even more creative fog and misting measures are used to compliment the interactive element many park designers are integrating into their queue lines and common areas. Keep guests comfortable during the warmer high season while complimenting the newly budding interactive environment of theme park queue lines. 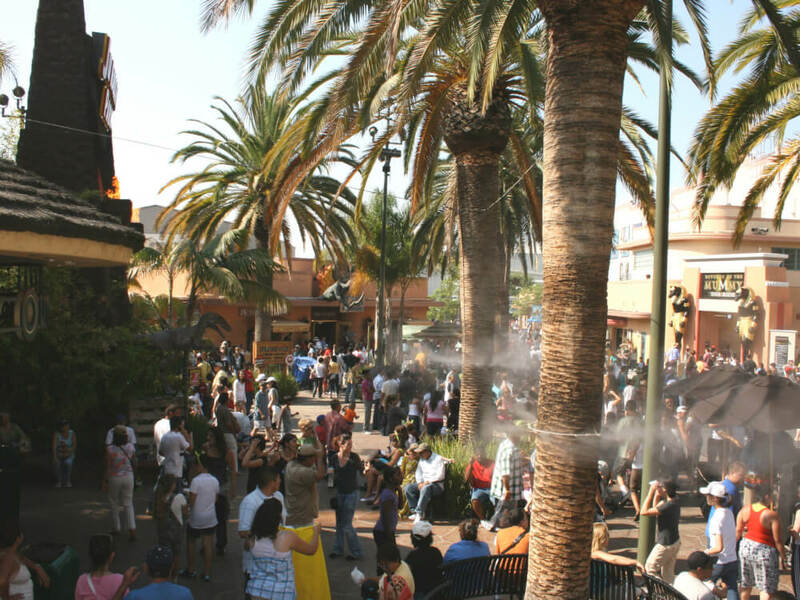 Misting systems, misting elements and fog effects are all used to provide unique cooling solutions and aesthetic appeal throughout parks. These systems are found in queue lines, dining areas, seating areas, walkways and other common areas. Spending the day at a theme park usually means standing in long lines for a majority of your visit. Theme park designers are beginning to extend their attractions and themes to the notoriously boring queue line. 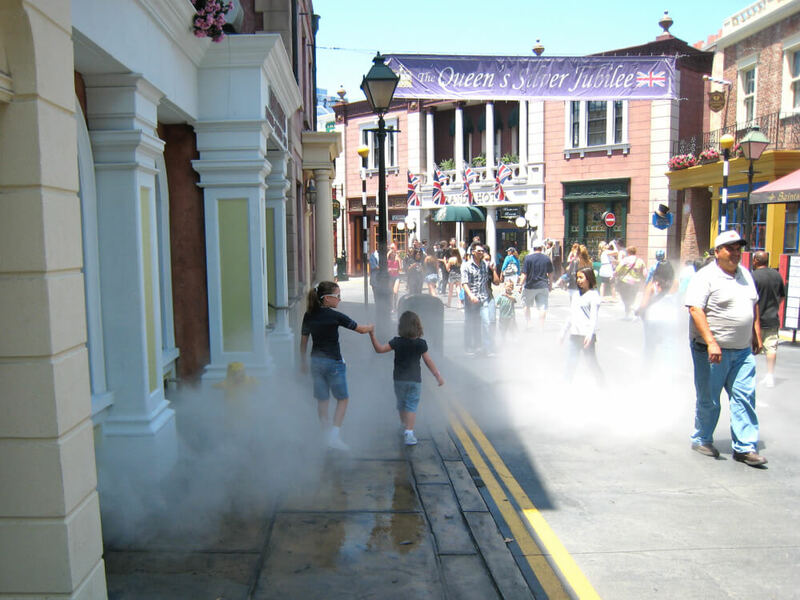 Using Koolfog misting systems to cool guests during the traditional summer high season or integrating aesthetics to ‘wow’ guests while providing cooling via fog effects lends to the all immersive theming experience. Visiting an amusement park has been a family favorite since the introduction of periodic fairs like the Bartholomew Fair in England in 1133 to the more modern theme park established in 1946 in Santa Claus, Indiana, Santa Claus Land. They offer an opportunity for a close-to-home getaway where kids can experience a type of excitement not found anywhere else. The chance to zoom on a rollercoaster, fly on a swinging chair high above the ground, and eat cotton candy is second to none. 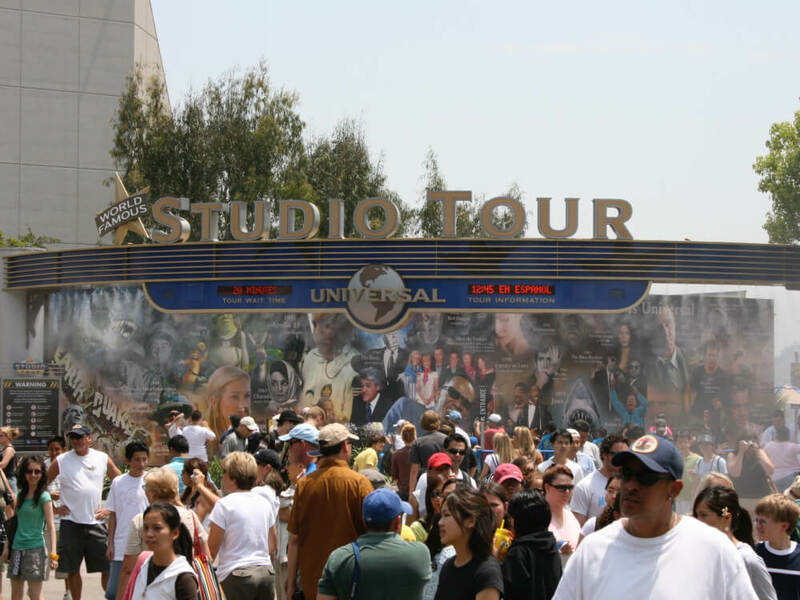 However, the experience of visiting a theme park can come with challenges, particularly for the adults involved in the excursion. 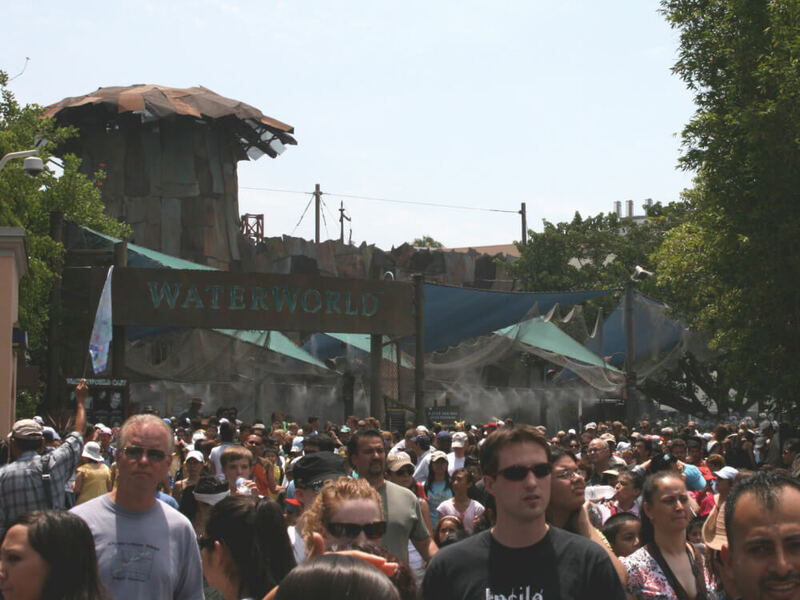 Since theme park visits are frequently visited in the summer, heat is a factor that park owners must deal with. Standing in queue in the direct sun during summertime hours doesn’t appeal to anyone and can become dangerous for young children or older adults susceptible to heat stress and illness. 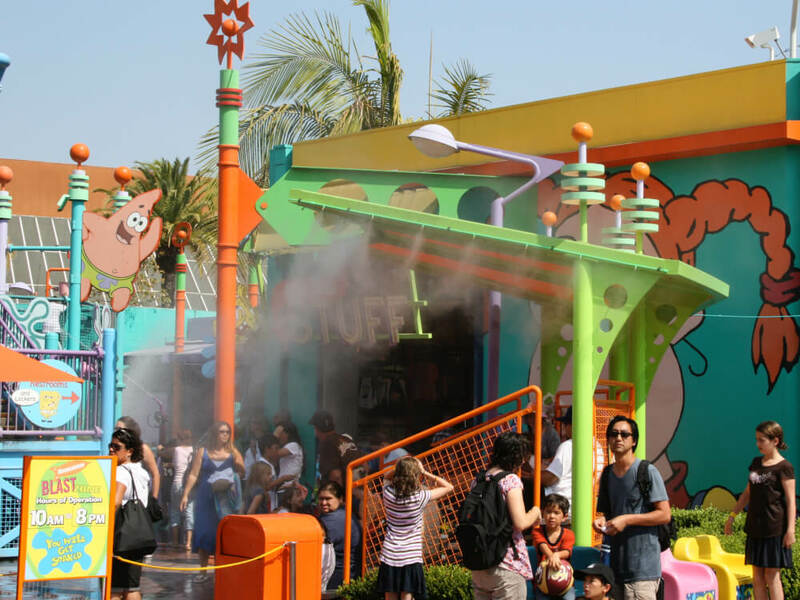 While park owners can rely on guests carrying water bottles to alleviate some of the heat, there is a far more efficient and effective solution that they can directly control – theme park misting. Adding a cooling fog and mist to areas where people congregate creates a comfortable and safe environment for everyone enjoying the park. 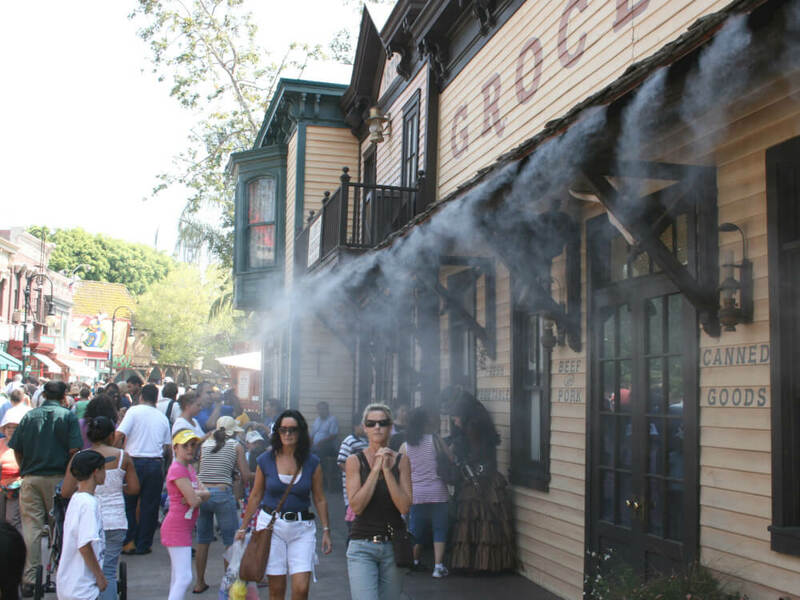 The most successful theme parks are incorporating misting into areas like queue lines, dining areas, and rest spots. Adults and children are able to relax in a veil of soothing mist while they gear up for the next ride or adventure. 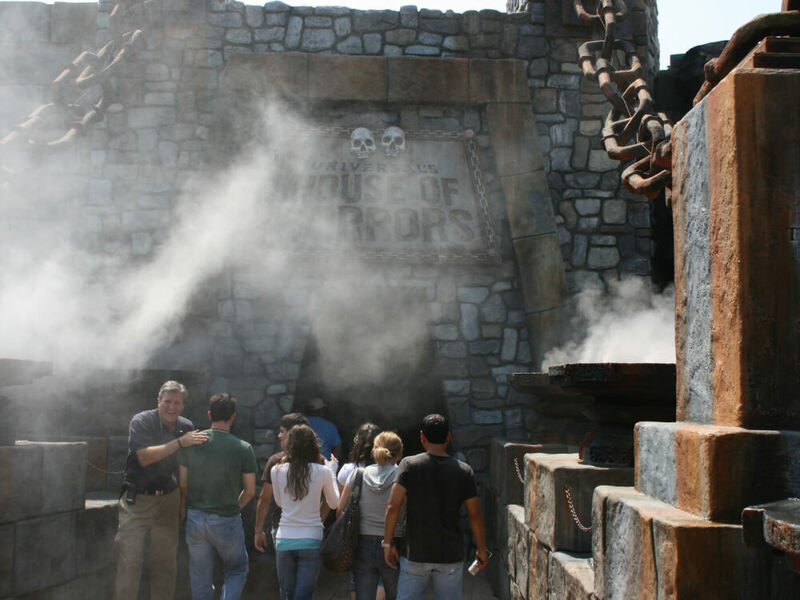 Adding theme park misting contributes to the bottom line by keeping guests happy. 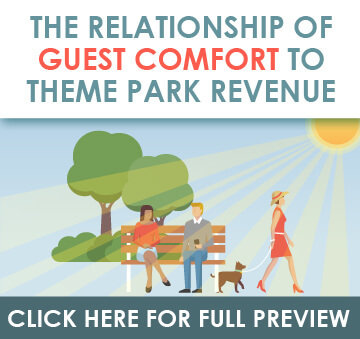 Happy guests are more likely to return, and may even become season ticket purchasers, leading to increased revenue. But the more innovative parks are also taking cooling solutions to a more creative level. Adding fog effects to pre-shows in queue lines that billow out to the corners of your theme park convincingly transitions all of your patrons from the domineering outside into your narrative reality. By enhancing the existing immersive qualities to touch every corner of the theme park, more families will justify the stress of organizing a family vacation to glide through your theme park gates. Adding misting systems to your common areas, dining areas, walkways and entryways can keep patrons cooler, allowing them to stay longer and come back more often as more than just a source of entertainment, but a true escape into the world you’ve designed. Integrating fog effects or enhancing existing interactive displays with Koolfog’s atmospheric effects officially closes the door to the outside and allows each of your guests the exact kind of retreat and break they came for in the first place.